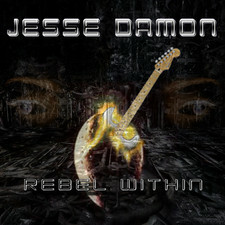 Jesse Damon has released 3 albums with Silent Rage and has co-written songs that appear on the KISS albums "Revenge" and "Psycho". 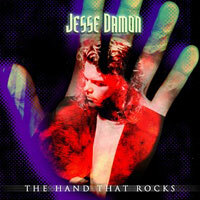 "The Hand That Rocks" is his first solo album and he has worked with Paul Sabu (Only Child) on this one. This is classci hardrock with touches of AOR and you can cleary hear that Paul Sabu has been involved in this. 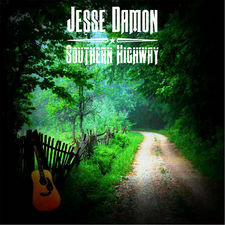 Jesse sings better than ever and does sound much better than he does on the Silent Rage albums. Gene Simmons (KISS) has co-written one songs on the album called "Everybody Needs Somebody". This is a epic hardrock anthem with great guitars that has touches of both KISS and Silent Rage. "Love Isn?t Love" is a great melodic AOR-ballad with superb melodies and harmonies, this song fits Jesse?s voice fantastic. "Lay The Blame" has a gospel feel over it and this is a mid-tempo song that is either bad or good. On "Help Me" you can hear influences from INXS mixed with touches of Paul Sabu, this is a poppier tune with great keyboards. On the track "Do You Feel Lucky Tonight" y hear typical Paul Sabu mixed with Silent Rage but unfortunately this is a lame and weak rocker. The acoustic ballad "If She?d Be Mine" is again a very good song. Strongest song on the album is the AORish "Dear Sanity" with very AORish keyboards that could have come from the 2nd Silent Rage or Paul Sabu?s earlier albums. 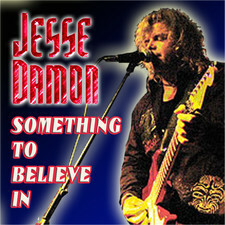 Jesse Damon?s first solo album is not great or bad but somewhere between. There is couple of tracks that are really great but in the other hand there is some fillers that don?t make this a album that you just got to have in your collection. One more thing that could have been better on the album and that is the drumsound, it?s not bad but could have been better. Fans of Silent Rage, Paul Sabu and Danny Danzi should listen to "The Hand That Rocks" and maybe others to because this album has moments that are good.